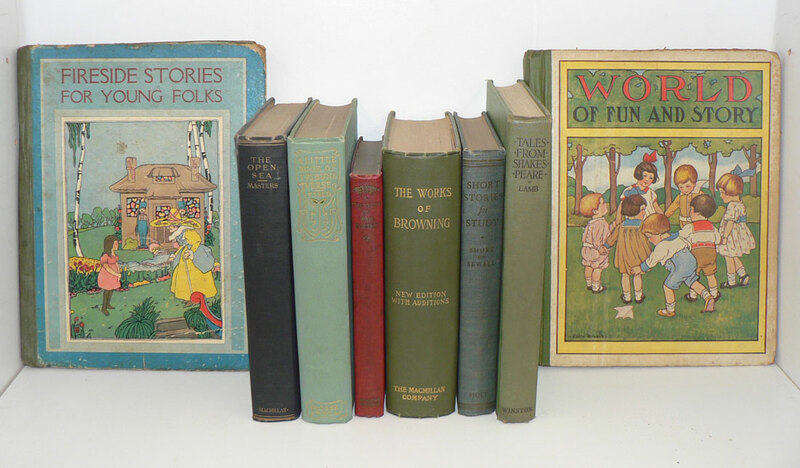 Giving away these eight books; some poetry, vintage picture books, short stories... this and that. I love the covers on the children's books. Ohh, lovely books! Pick me, pick me! I would love to have these wonderful books. I cannot satisfactorily express how dearly I would treasure these particular books, were you to select my name. Please, gimme! Oh! Such treasures, please choose me this time! I Love the history of all old things! Makes me feel Real!! I wish they still made books like this! These are the kind of old books I love best. I'd LOVE to enter! These would be great to read to my goddaughter! I would love to have these books! A great selection - fun! My bookshelves are pining for these books (& I promise to share). I love old-fashioned children's books. These look beautiful. I wrote a short story in their honour. Mr Jones opened the book and gasped. Inside, he found the ticket. The ticket to the concert. The concert where he met her. The lady who changed his life - not by coincidence, but because it was always meant to be. He smiled, his wrinkled face lit dimly by the moon. He put the book in the box - someone else should read this. But he kept the ticket. The ticket he had forgotten - a forgotten bookmark now found. Wonderful selection! You are so very generous every week. Lovely! I would enjoy these books so much. Beautiful books!!! Love vintage children's books. What beautiful books! I would love to add them to my library! Thank you for offering them. Oh my YES ! For the Cover Art alone. Michael. I love old children's books so much! So lovely...thanks for the giveaway! Eek! Those 2 covers sure caught my attention... the ones for "Fireside Stories" and the "World of Fun & Story". So cute. Need them. Looks beautiful. Hope I win! These books remind me of my grandparents' collection of children's books and early 20th century art nouveau-illustrated books. put my name in the hat for this giveaway! Thanks. These are beautiful! I'd love the picture books for my future babies! Oh, would love these to share with my daughter - she's only just starting reading in English! What sweet, old-fashioned books. Would love to win! My kids would love the picture books! Please enter me! What a great collection! Thank you!